Tickets are on sale at Rotary Club meetings - Mondays at Noon at Best Western in Waterville or click here to e-mail and request tickets. 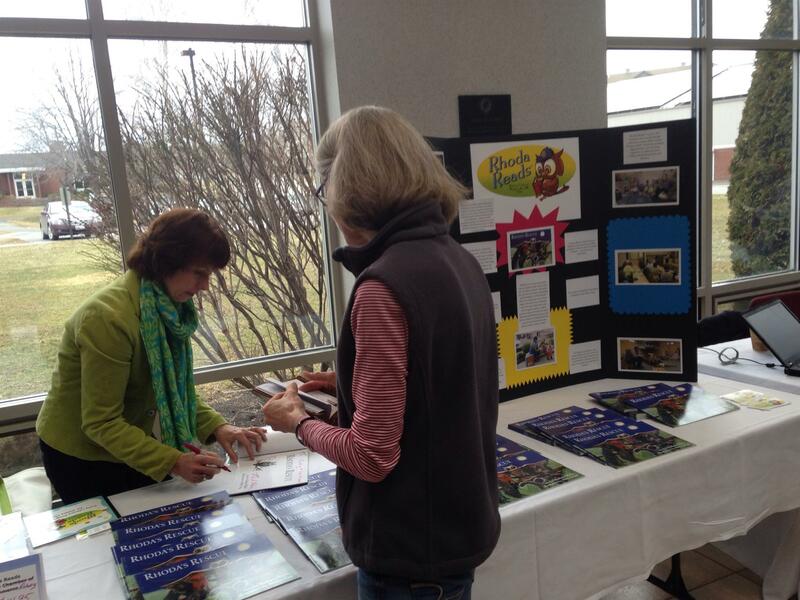 Come learn about the Children's Discovery Museum coming to Waterville! In 2015 Amarinda was hired as the Executive Director. 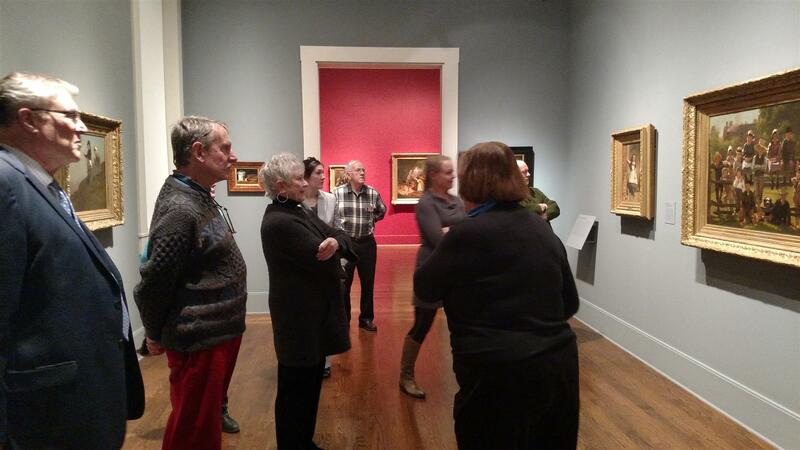 Since then, Amarinda has worked to balance the museum’s budget, pull the organization out of debt, and increase museum attendance. In 2015 she was chosen as an example of exceptional teaching by the Maine Mathematics and Science Alliance. 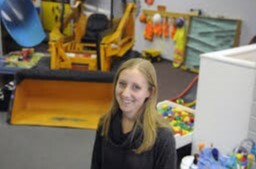 In 2016 she began working to relocate the organization to Waterville, Maine in order to ensure the longevity and sustainability of the organization. More photos of the Centennial Gala in the photo album in lower right side bar. 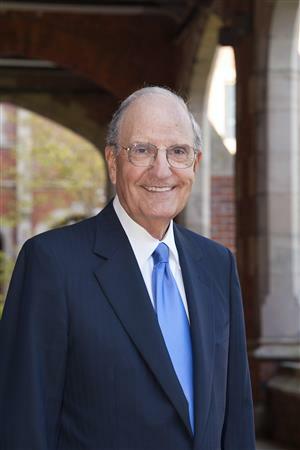 The Rotary Club of Waterville will celebrate 100 years of serving our local and global communities at a special Centennial gala event at Thomas College on Saturday, October 6th featuring a very special keynote by renowned Paul Harris Fellow, citizen, and respected leader, the Honorable George J. Mitchell. On Friday, April 27th Jennifer Olsen, Waterville Rotary Club President Elect, gave a PechaKucha Night Waterville presentation titled "Rotary is My Yoga Mat" where she shared her history with Rotary International and her hopes and plans for our Waterville Rotary Club when she becomes President. 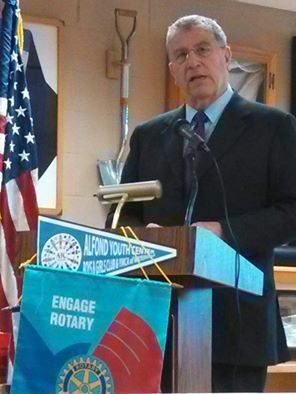 A quick reminder - we do indeed have a Waterville Rotary Club noon meeting on Monday, April 16th! Though many have the day off for Patriot's Day, most of us do not and therefore we are planning on meeting. Our very special guest is Rotarian Chris Gaunce so let's be sure to have a big crowd. It's a wonderful new meeting location and we're looking forward to hearing Chris speak. See you on Monday at noon! We're Moving on April 2nd - check out our NEW meeting location! Spring Fling 2018 -- Help! If you missed our meeting on Monday you missed some great information on this year's Spring Fling! The event is scheduled for April 13th but has a new and exciting venue! Waterville Brewing on the first floor of the Hathaway Building will host our Spring Fling this year. So exciting!! Far more than simply a social event, this is one of our Club's biggest fundraisers (we only do two!) and supports all the important work we do here in greater Waterville and around the world. Spring Fling powers Rhoda Reads! RYLA? Not without the Spring Fling, Junior. How about that RiverWalk? It'd be a RiverNOT without the Spring Fling! 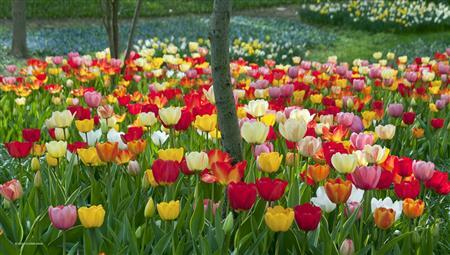 Our global water projects would dry up as well if not for the Spring Fling. Are you getting what we're laying down? Time to get in the Spring Fling groove Rotarians! Your Fines Feed our Community! If you weren't able to attend Monday's meeting, you missed a fantastic presentation on the RiverWalk at Head of Falls (thanks Lisa and Mike!). You also missed hearing about how much money you recently helped us raise for the Waterville Food Bank through those pesky Cups and Fines! How much? Well, we donated a very solid $611 - but exactly how does this money help the Food Bank? 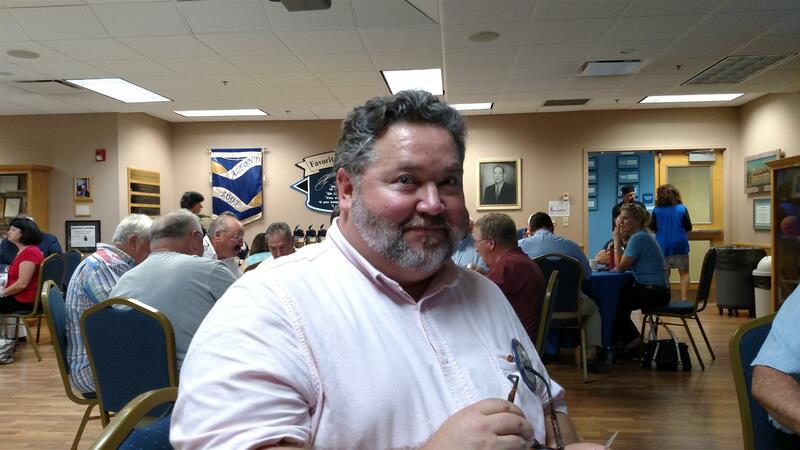 We turned to Rotarian Dave Dawson for insight. Waterville Rotary Club Impact Felt in Bangladesh! We received this message on our Facebook Page today from Tony Shope (thanks Tony!) and just had to share it with all of our Rotarians. 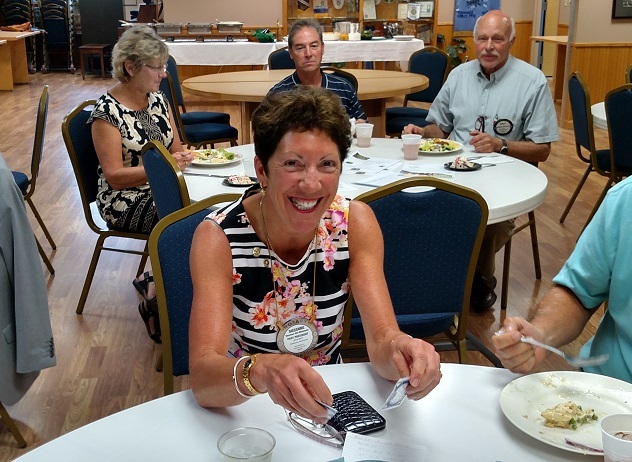 We know sometimes things like icky weather, the winter blues or a full schedule make it hard to make it to our weekly Rotary Club meetings and get involved in all our events. But when you DO participate, things like THIS happen. Without you, there'd be less love and hope in the world. And I think we all agree the world needs as much love and hope as possible right now. Do the right thing Rotarians, participate in Rotary. Because when you do: this is the result! The 32nd Annual MLK Jr. Community Breakfast a Huge Success! 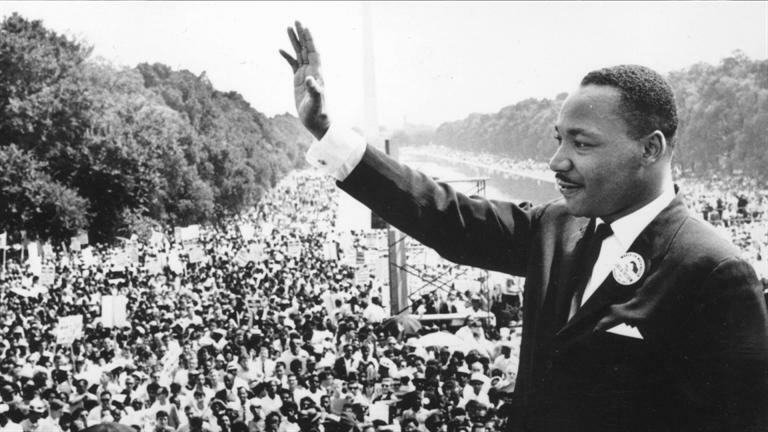 T he 32nd Annual Martin Luther King Jr. Day community breakfast will be held at Spectrum Generations Muskie Center on Gold Street in Waterville from 7:30-9:00am on Monday, January 15, 2018. At this popular annual event, cosponsored by the Waterville Rotary Club and Spectrum Generations, David A. Greene, President of Colby College, will give an address titled “Bending towards Justice.” The event is open to the public, tickets are $8 for adults and $3 for children age 12 and under and can be purchased through Spectrum Generations at the Muskie Center. 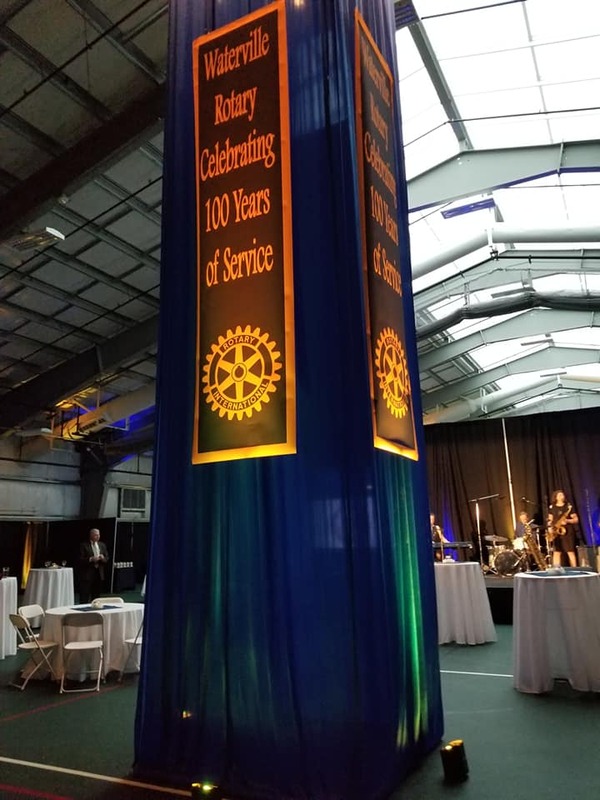 Buffy Clifford Higgins, President of the Waterville Rotary Club, will be master of ceremonies, Rotarian Richard Dorian of the The Maine Children's Home for Little Wanderers will offer the invocation and Rotarian Reverend Alice Anderman will provide the benediction. As always, music and youth participation will be a highlight of this gathering; during the program, attendees will be asked to join in song for “Let There Be Peace on Earth,” accompanied by violinist Peter Garrett, Founder of Kennebec Messalonskee Trails. The Tourmaline Singers will perform two songs led by Harry Vayo, and the audience will also enjoy the talents of violin duo and sisters Pyper and Ivy Birch from the Snow Pond Arts Academy and the Snow Pond Enrichment Program. 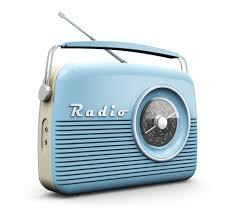 The 53rd Annual Waterville Rotary Radio Auction is almost upon us! 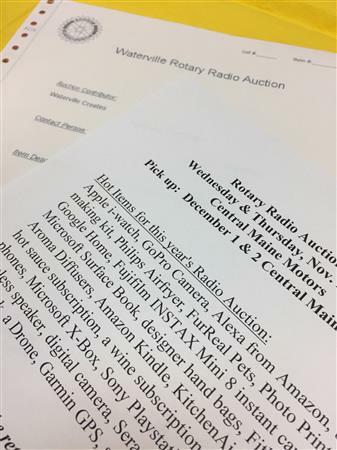 Many incredible gifts, services, and discounts will be sold on Wednesday, November 29th and Thursday, November 30th as a part of the Waterville Rotary Club’s Annual Radio Auction on Mix 107.9 and www.WatervilleRotaryAuction.com. Tune in to Mix 107.9 to bid from 6:00 pm to 9:00 pm, visit www.watervillerotaryauction.com to bid online, or call 680-BUY1 or 680-2891 to register or bid on an item. 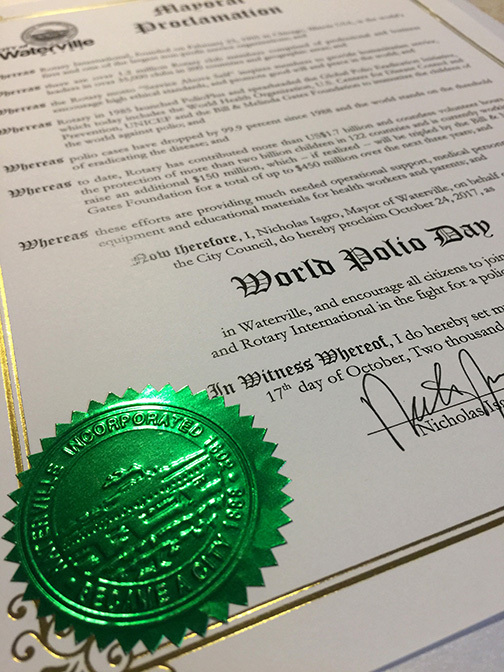 On Tuesday, October 17th in City Council the Mayor of Waterville, Nick Isgro, proclaimed October 24th, 2017 as World Polio Day in Waterville and presented Club representatives with the official proclamation from the City. It's a busy time of year for Rotarians - People of Action! Happy Autumnal splendor, Rotarians - fall has arrived and with it a very busy season for the Waterville Rotary Club! 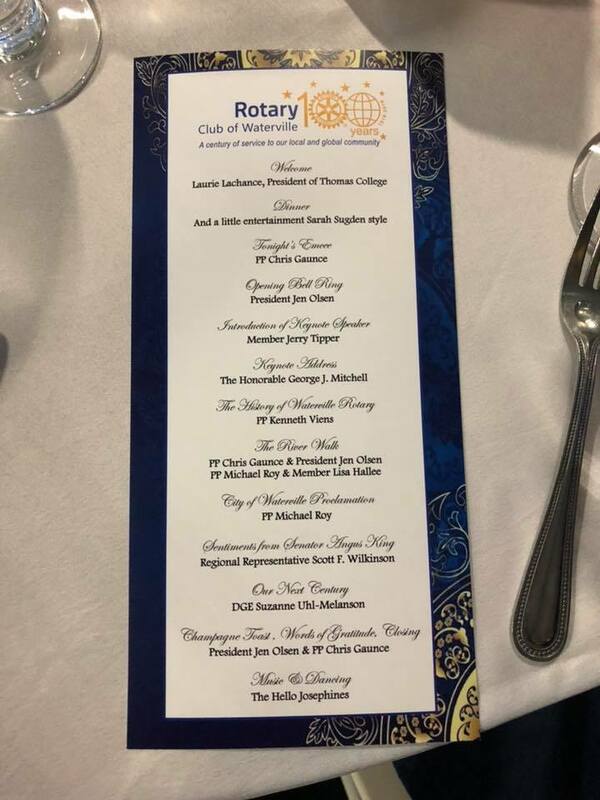 Not only do we have our weekly Club meetings, which have been especially wonderful these last few weeks as Rotarians get back into a post-summer routine, but we also have some big events coming our way! 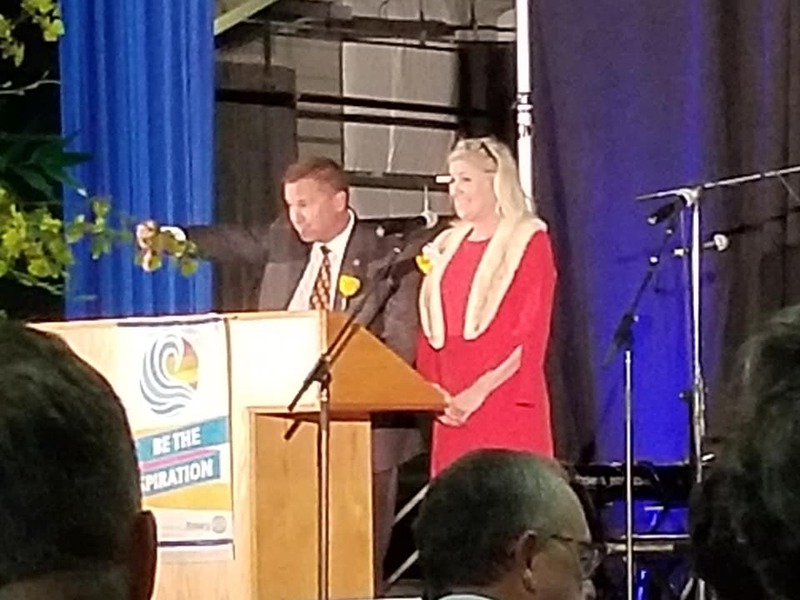 Governor Paul LePage chats with Mid-Maine Chamber of Commerce President Kim Lindloff prior to the Governor addressing the assembled Rotarians at Educare on Monday, August 14th. 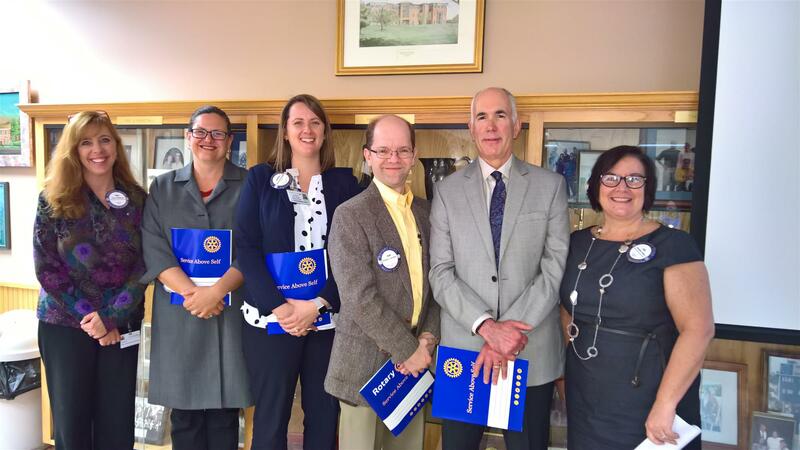 Club President Tina Chapman with brand new Rotary members Winifred Tate, Colby College; Sarah Kalagher, Thayer Center for Health; Dan Eccher of Eccher Law, LLC; Jeff Melanson of Creative Print Services; and Club Membership Chair Jennifer Olsen. Welcome Winifred, Sarah, Dan, & Jeff! Spring Fling 2017 is coming! 52nd Annual Waterville Rotary Auction! The noon time Waterville Rotary Club's two newest members Nate Towne and Jane Zeyak along with membership committee chair Jen Olsen in the middle! WELCOME, Nate & Jane! Congratulations to Rick Dorian the Progressive 50/50 winner last week. 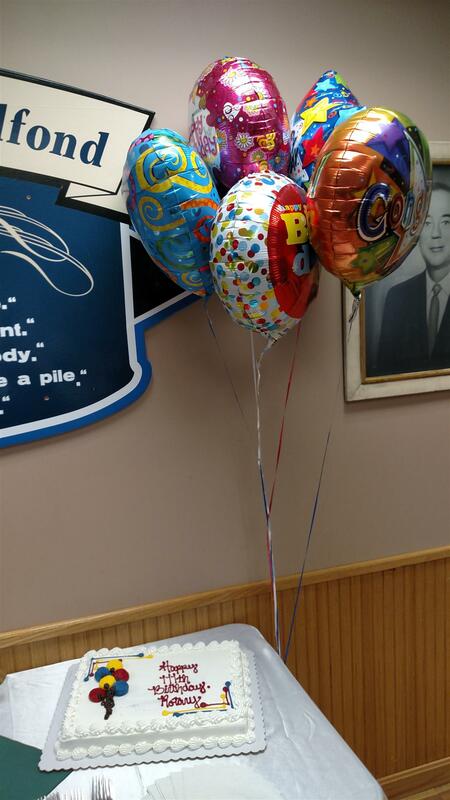 Although not the grand prize winner, he won the honor of being recognized on our website! Congratulations Rick. 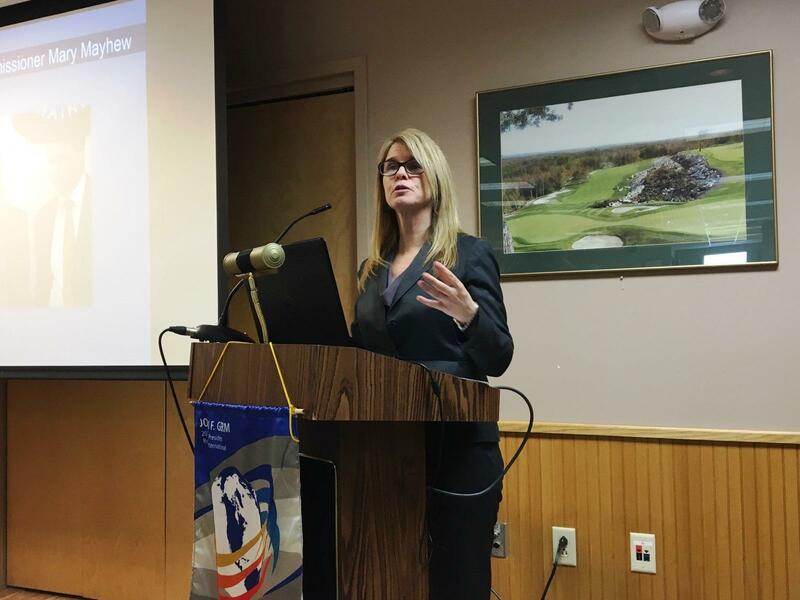 At the Monday, July 25 meeting, Kathleen Rusley of the Maine Emergency Management Association shared helpful information and recommendations for business and service organization emergency preparedness. The Getting Started with Business Emergency Planning section of the Maine Prepares website has some terrific resources including a checklist and a short list of questions a business owner or service organization can use to begin assessing emergency preparedness. District Governor Jean-Louis Joly visited the club on July 18, 2016. District Governor Jean-Louis Joly accepted an $1100 contribution from our club to support the District Governor's project in Cambodia this year! District Governor Jean-Louis Joly shared a promotional video about the District Conference 7790 scheduled to take place May 19-21, 2017 in Saguenay, Quebec. Looks like a fantastic opportunity! 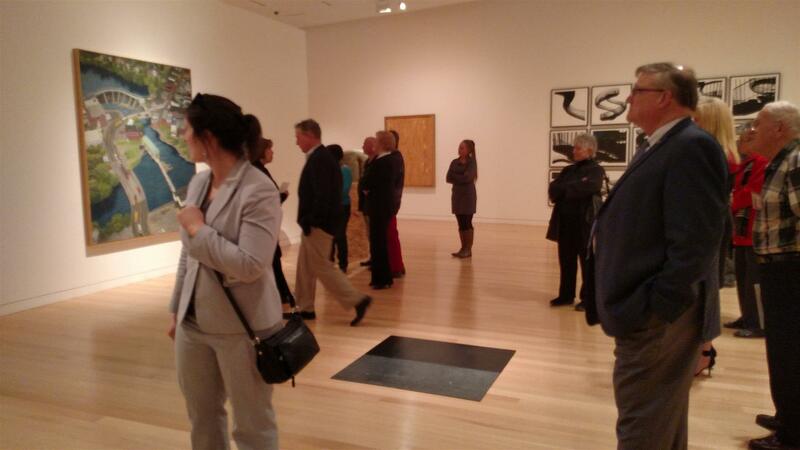 What a great time we had viewing the art at Colby's Art Museum......and spending some time chatting before and after!! 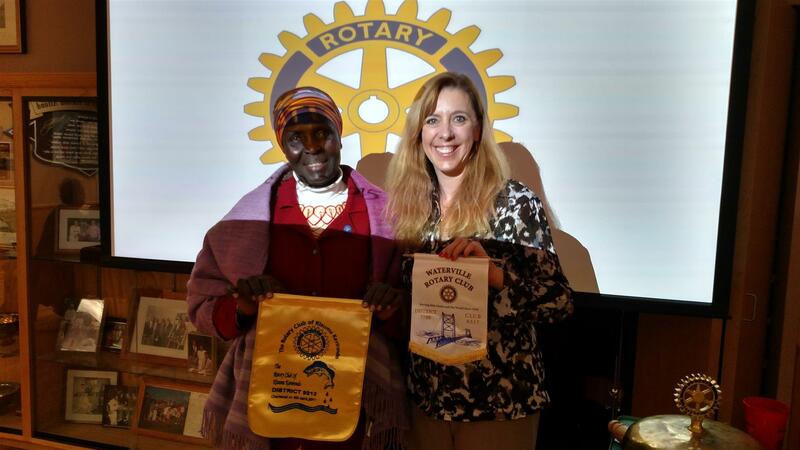 We had a visiting Rotarian from the Kisumu Kaviarondo Rotary Club in Kenya on Monday 10/19. Here you can see Tina Chapman swapping flags with Dolfine Gumba Dawa. The Progressive 50/50 is a pot that grows each week as members continue to buy tickets. Each week a ticket is drawn and the winner chooses an envelope. In the envelope is a variety of prizes, from the waiver of a fine to a free lunch, and even to have lunch served to you by the President. Please play often, as half of the pot goes to the grand prize winner and the other half goes directly to the Centennial Project Fund. This gift, awarded through a competitive RFP process, will assist in dramatic improvements to this underutilized public space, as well as confirm the club's unwavering commitment to the Waterville area. 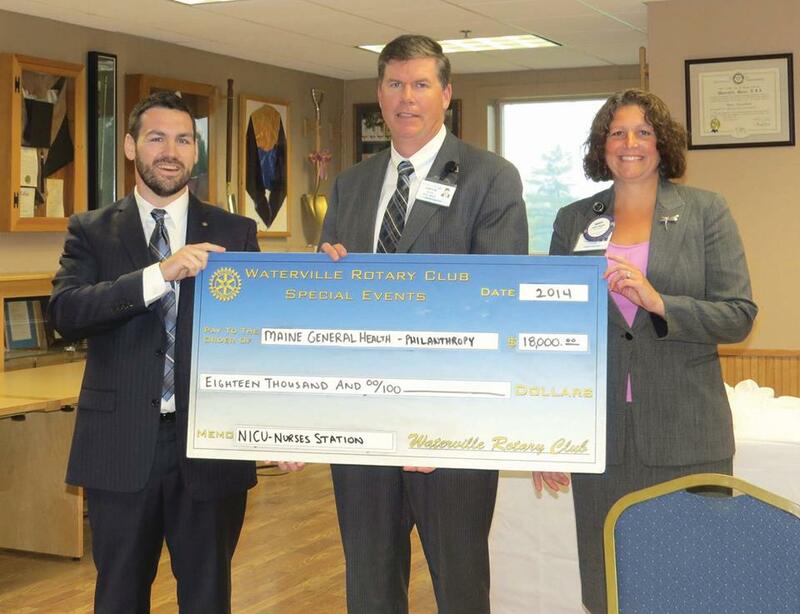 Waterville, Maine, July 20, 2015 -- The Rotary Club of Waterville, Maine is pleased to announce that it has awarded $150,000 to the Kennebec Riverwalk at Head of Falls initiative. 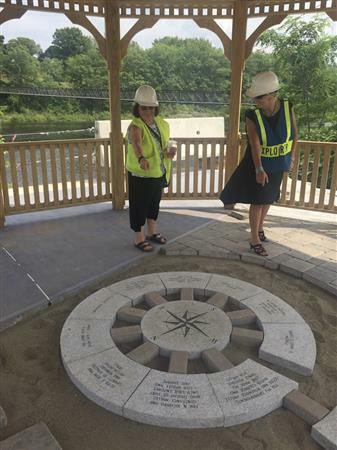 This innovative project, a collaboration between the City of Waterville and the Kennebec Messalonskee Trails organization, is designed to encourage greater public use of the waterfront area known as Head of Falls for recreation and other community purposes. It will also assist Main Street businesses by providing an additional highlight destination for local residents and visitors. This contribution will in part fund improvements including a meandering path, entry pavilion, walkway with ornamental railing, decorative lighting, seating, and landscaping. The Waterville Rotary Club started planning for this "once in a century" grant opportunity two years ago. Many Club members generously donated their expertise in defining the objectives for this Request for Proposal, as well as creating a process that was fair, inclusive, and would result in the best choice of grantee. The RFP was issued in 2014, and five finalist organizations presented their proposals to the Club within the past month. The Club was seeking a "bricks and mortar" capital improvement project that would have a long lasting, area-wide benefit; encourage further development; reflect Rotary's mission; and require community-wide collaboration on many levels. This Riverwalk project proposal deeply resonated with the Club, with a vast majority of members voting it as their first choice for funding. Helping to fund the Kennebec Riverwalk At Head Of Falls Project is a win-win for the city of Waterville as well as the Waterville Rotary Club. Waterville will have an exciting, safe, and family-friendly destination within walking distance to the city's downtown commercial area that also offers enormous potential for the community. This opportunity represents an ideal way for the Club to mark its first 100 years of service to the area. In addition to its $150,000 grant, the Club's commitment to this project includes in-kind service donations. The Riverwalk project has been fully embraced by the City but not yet fully funded. The Club's gift is substantial “seed money” to spur further governmental, local, and private support. In fact, upon hearing of the Club's award, Kennebec Messalonskee Trails, a partner in this project, immediately contributed an additional grant of $15,000 towards this initiative. According to Mike Roy, Waterville's City Manager, "We so appreciate the Club's generous contribution towards this Riverwalk project. These upgrades are a much needed catalyst, and will absolutely help in the rebirth of this important but underutilized area." Bruce Harrington, the Waterville Rotary Club President adds, "Our local trail system has been developed over the years and is a key part of our area. This project is a great addition to this local resource, as well as a fantastic investment in Waterville. I am delighted that our Club can help make that a reality for many generations to come." Call with item numbers, bid amount, bidder number and phone number. Successful bidders will receive a call within 1 hour after each set. Bids are to be in whole dollars, limit 3 per call. Pick up items at Central Maine Chrysler, Dodge, Jeep, 300 KMD, Waterville on Friday, December 5, 9 am to 5 pm and Saturday, December 6, 9 am to 12 pm. Bring your bidder number to pick up your item. Payment in cash, checks, Visa/Mastercard. The newspaper ad with the item list can be downloaded to the right of this article, or here. MaineGeneral Medical Center (MGMC) officials were presented today with a check for $18,000 from the Waterville Rotary Club to support the capital campaign for the Alfond Center for Health (ACH). In particular, the club was inspired by the work of MGMC’s Maternity & Pediatrics Center. “MaineGeneral delivers more than 1,000 babies in the Kennebec Valley each year,” said Chuck Hays, CEO of MaineGener...al Health. 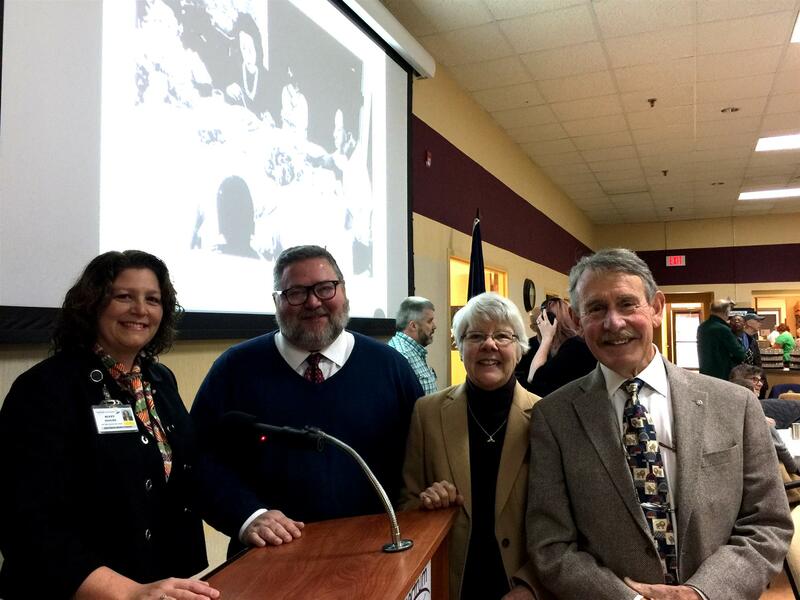 “This generous gift from the Waterville Rotary Club recognizes the high-quality services we provide in our region – especially to our youngest patients.” A nursing station at the ACH’s Maternity & Pediatrics Center will be named for the Waterville Rotary Club. PHOTO: shown from left, are: Bruce Harrington, Waterville Rotary Club treasurer; Chuck Hays, CEO, MaineGeneral Health; and Buffy Higgins, director of operations, Thayer Center for Health. Congressman Michael Michaud spoke today about his vision for Maine as he campaigns to become the next Governor of Maine. 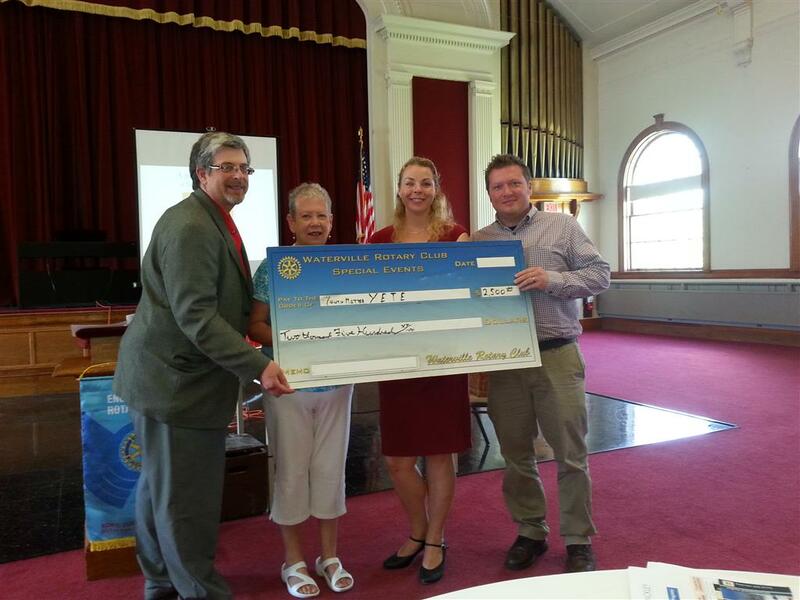 The Waterville Rotary Club presents a check to Youth Matters for $2,500 in support of the Youth Empowerment Through Employment (YETE) program. To learn more, contact the club's vocational services committee. Today the club was hosted by Glen Cummings and the Maine Academy of Natural Science (MEANS) at the Goodwill-Hinckley campus in Fairfield. Lunch included a variety of home-grown vegetables and herbs that were harvested this morning - and it was delicious. 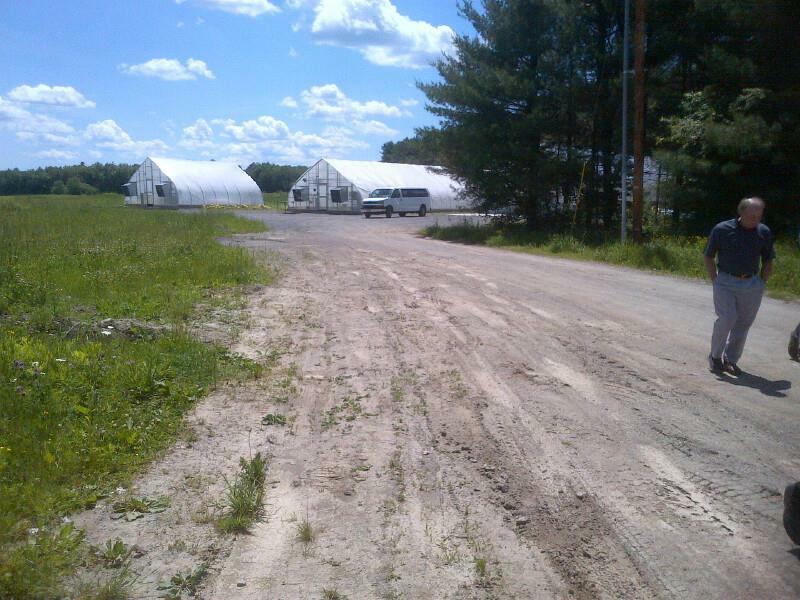 We were given a tour of the campus and were able to see the new greenhouses in action. 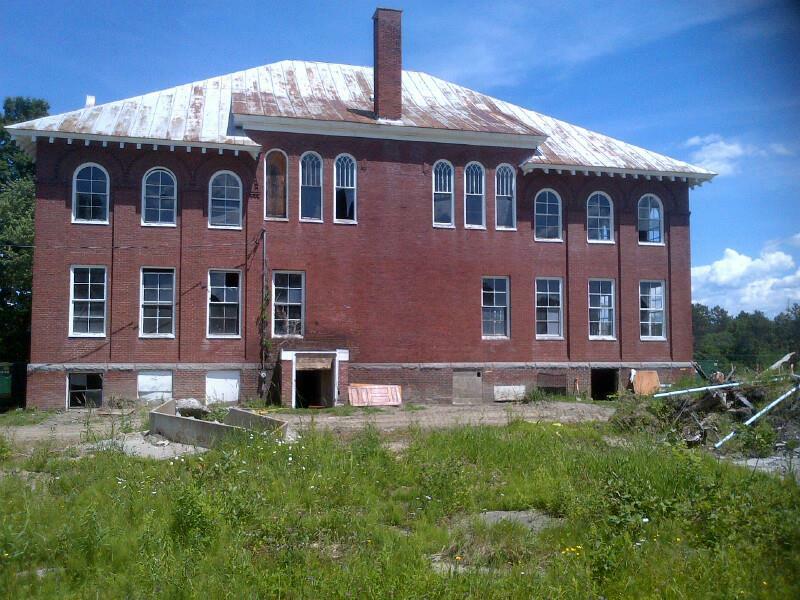 The school is close to raising the funds needed to renovate one of the historical buildings on campus, which will provide needed space for the growing student population. Learn more at their website: http://www.means-gwh.org/. Jamie Pye, President of Maine Energy Marketers Association (MEMA) visited our chapter today to talk about MEMA's role in the energy market in Maine, and about general energy trends. Jamie Py came to MEMA as Legal Counsel in 1995, and is a 1994 J.D. graduate of the Franklin Pierce Law Center; holds an MBA from Drexel; and is a member of the Maine Bar. In one of his former lives, Jamie worked as the Facility Manager for an oil company in New Hampshire. In 2002, Jamie was named the President of MEMA. MEMA is an association representing over 350 members, including 170 heating oil, propane, biofuels, pellets, electricity, motor fuels providers and convenience store owners who serve more than 415,000 Maine households. MEMA also has more than 180 associate members who provide goods and services to Maine's petroleum dealers and their customers. Today we enjoyed several member classification talks. 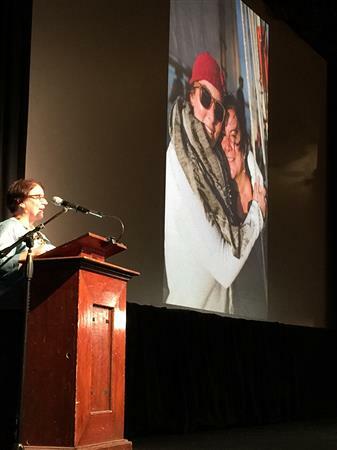 Jennifer Olsen discussed her background in the State of Maine and how it drove her passion toward the work that she does at Waterville Main Street. Matthew Parks discussed his work history and what led him to higher education and his present career at Kaplan University. And, Chief Massey gave us some insight into the career path that takes a police officer to the position of Chief, and some background about the issues that he and his department face while keeping our streets and community safe. Thank you to all who shared with us today. It is great to learn more abour our members, and about what drives our members to be successful, contributing Rotarians working to make our community a better place. 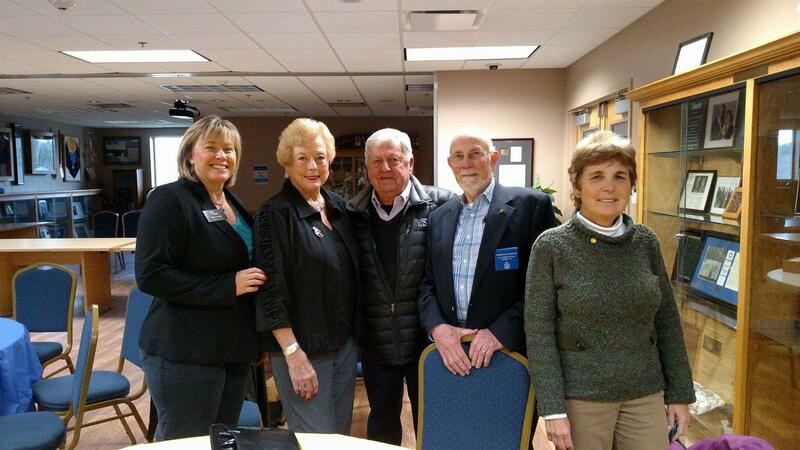 I encourage you to meet with your fellow Rotarians on a regular basis to get to know one another a little better. Mayor Ben Sprague spoke to the club about his thoughts on economic development, and the role that municipalities play. 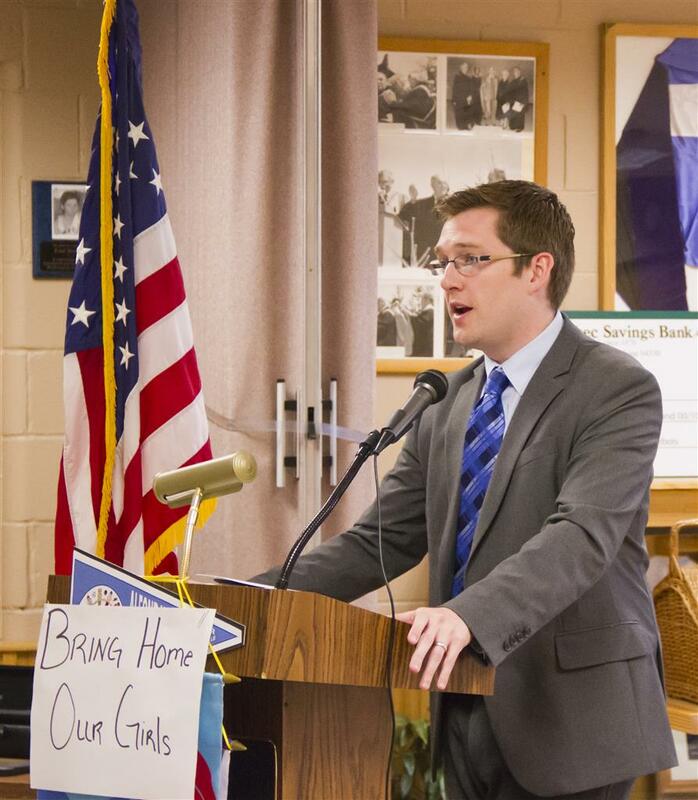 Ben recently penned a paper discussing a plan to grow the population in Bangor, Maine. That paper can be found here. Bangor mayor Ben Sprague and Waterville City Manager Mike Roy. 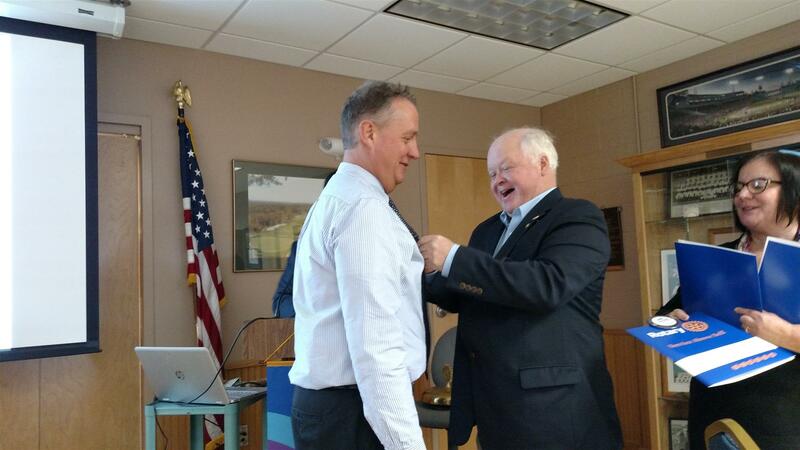 Eliot Cutler was welcomed to Waterville Rotary to share his vision to strategically move Maine forward to a brighter future with a vision plan and strategy that calls for thinking and acting differently, better, and more creatively. Make your plans now for the annual Waterville Rotary Golf Tournament happening Thursday, June 19 at Natanis (Tomahawk Course). Not an avid golfer but want to join in the fun? No worries. This is a scramble and a great opportunity to give golf a try. Still want to participate but no desire to compete? We have plenty of volunteer opportunities throughout the day. Please contact Buffy Higgins for more information. We are still looking for sponsors of all kinds, teams and prize donations!! Feel free to let Buffy, Len, Suzanne, Allan, Craig, Darlene, Don, or Lucille know of your ideas. 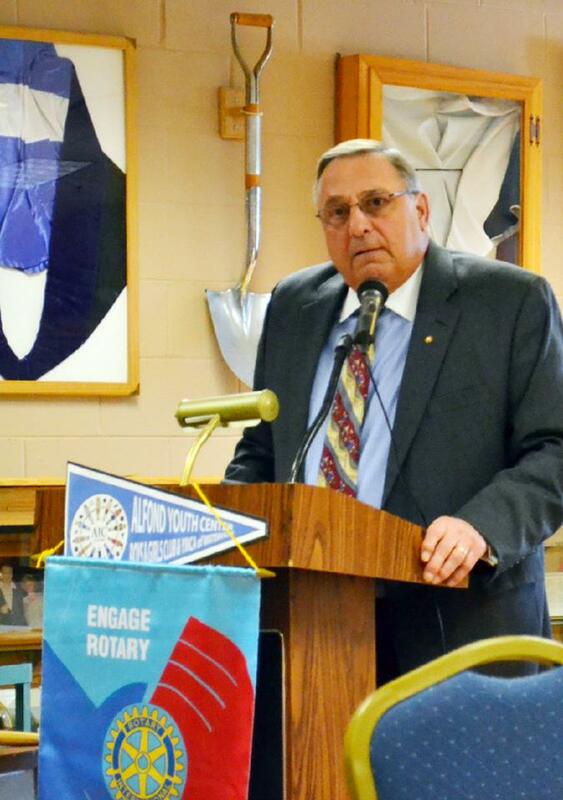 Governer LePage was welcomed by a captive audience of fellow Rotarians during today's noon meeting. 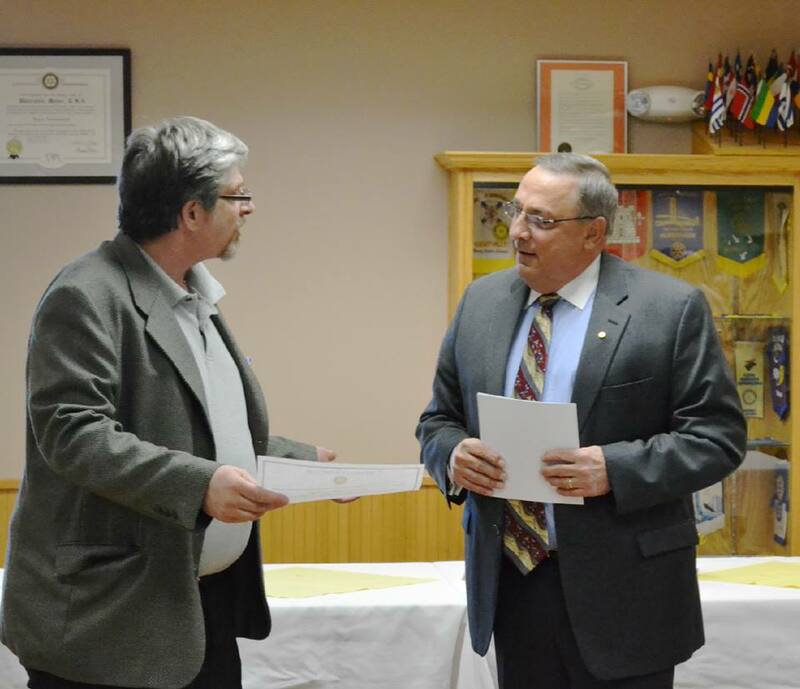 Club President Len LeGrand presented Governor LePage with a certificate recognizing that 10 children will be vaccinated against Polio in appreciation of the Governor's presentation and discussion. 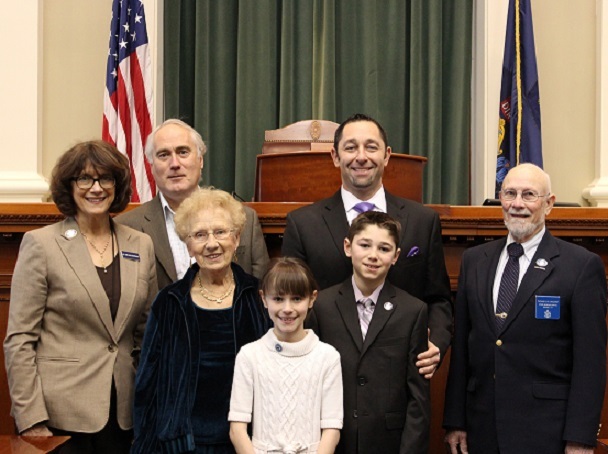 Club President Len LeGrand shares the Club's thanks and appreciation to Governor Paul LePage. 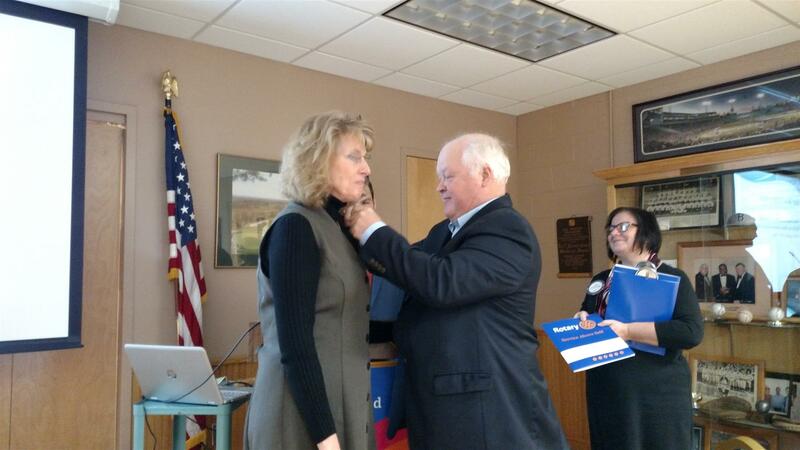 To see more from the Waterville Rotary Club, check us out on Facebook! Jody E. Vlodek Berren, of Sanford, selfless and devoted mother, wife, daughter and friend. Mrs. Berren was born in Waterville on March 20, 1974, attended Waterville schools and earned a Bachelor of Science degree in home economics and nutrition in 1998 from Keene State College in Keene, New Hampshire. She married Fred Berren on August 21, 1999 and they raised 2 children. Mrs. Berren worked as a nutritionist for the Women, Infants, and Children Program in Exeter, New Hampshire, as an inpatient dietitian at Frisbie Memorial Hospital in Rochester, New Hampshire and Avis Goodwin Community Health Center in Dover, New Hampshire and as the dietitian for the Sanford-Springvale YMCA and Southern Maine Medical Center in Biddeford. She was a registered dietitian for the HomeHealth Visiting Nurses diabetes education program. She was an active member of the Curtis Lake Christian Church. Mrs. Berren enjoyed cooking, gardening, going to the beach, running, working out and the yearly family vacation to Marco Island, Florida. She will be remembered by her loving family, many friends and those whose lives she touched. 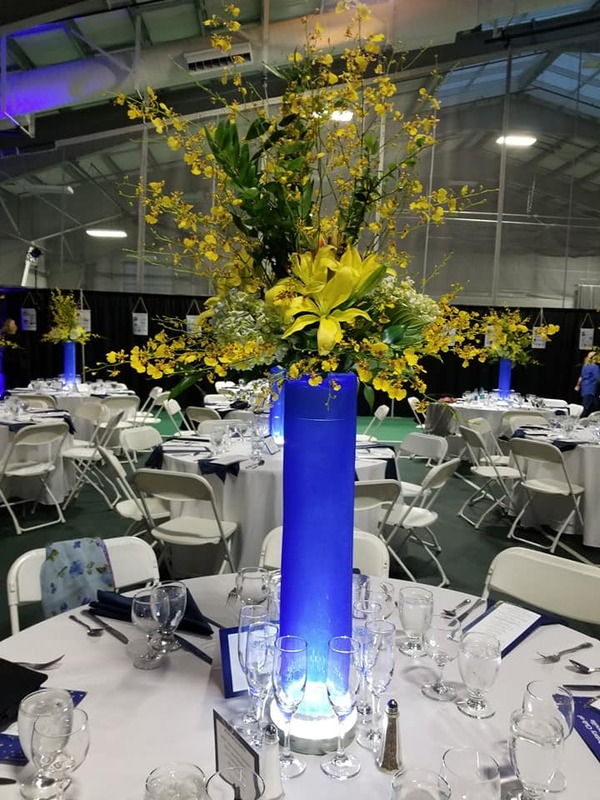 The Spring Fling is the Waterville Rotary Club's annual spring fundraiser and fellowship event. Come join our members at Julia's Auction Barn on Saturday, April 5, at 5:00 for an evening of food, fun, and fellowship. Be sure to bring your appetite, as you have a choice between steak and lobster for $20, or can have steak AND lobster for $30. Sunrise Rotary will be joining us for this event, so this is a great opportunity for the clubs to socialize with one another, and this is a great time to meet significant others of our club members. In addition to a fabulous evenine of food, fun, and fellowship, the club will hold its annual silent auction. 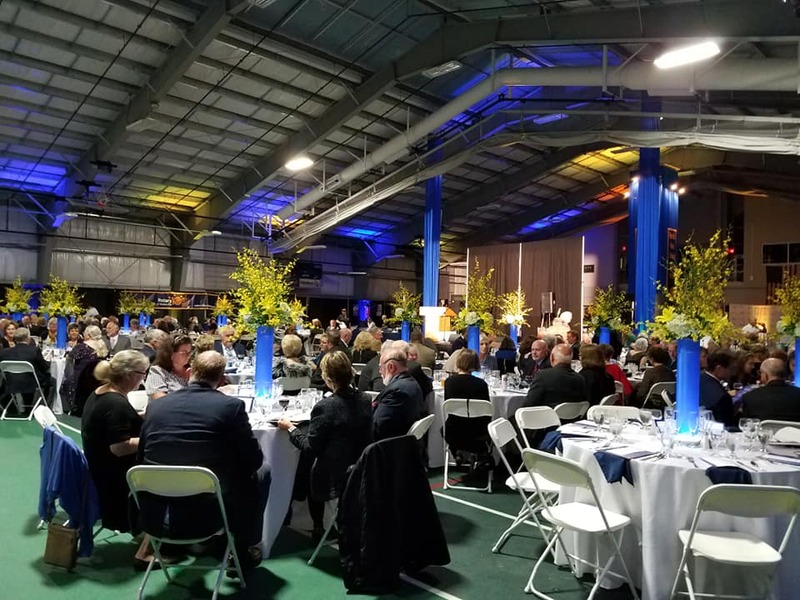 Bid high and bid often, as all proceeds from the silent auction and the Spring Fling will benefit the many charitable activities of the club. This event is open to the public. Tickets are on sale at the weekly Waterville Rotary meeting, Monday's at noon at the Alfond Youth Center, or contact Dan Parks at 465-2000 to reserve your seat today! 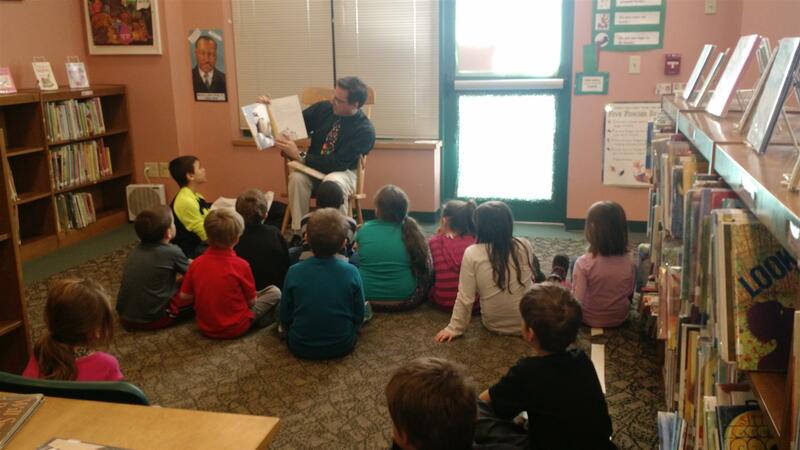 As part of its commitment to central Maine’s children, the Rotary Club of Waterville created the Rhoda Reads Early Literacy Program. The club’s goal is to assist pre-school children up to age five and help them develop a passion for reading, a skill that is crucial for their future academic and vocational success. Throughout 2013, Rotarians received training on how to read to young students and were matched with ‘reading buddies’ at childcare providers and preschools in the Waterville area. 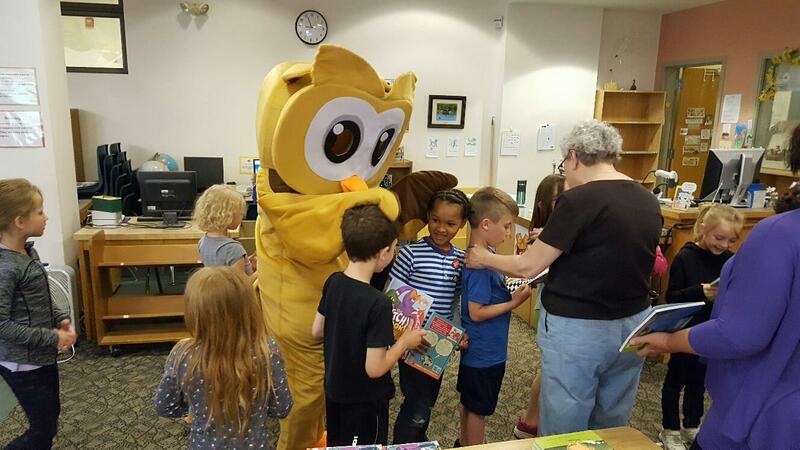 Each Rotarian was equipped with a tool kit that included a variety of books, along with a stuffed ‘Rhoda’ owl that serves as the program mascot. 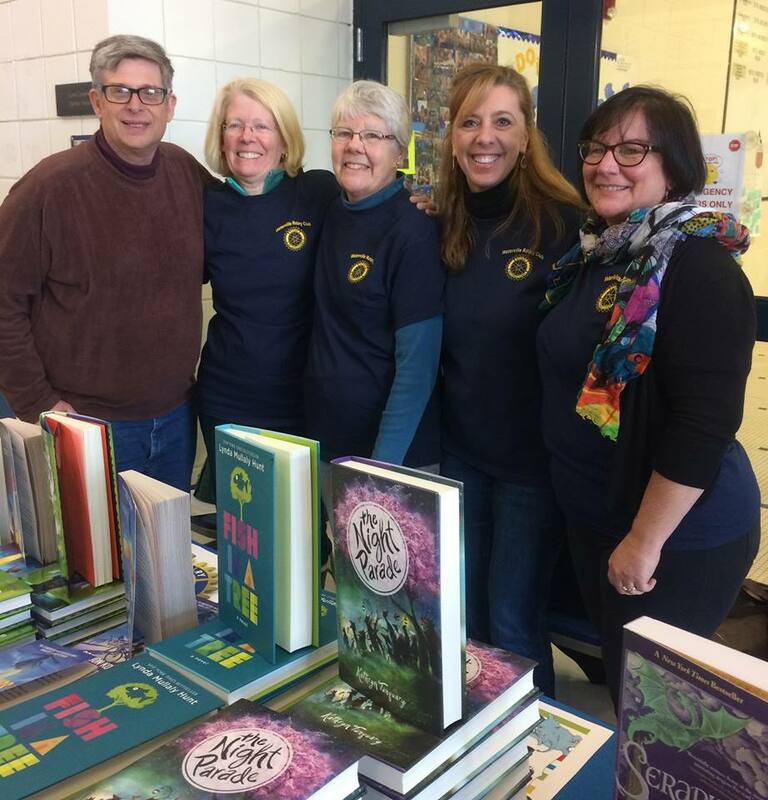 As part of the literacy project, Rotary also asked Pulitzer Prize-winning Maine author Barbara Walsh to create a story that reflected the club’s commitment to community. 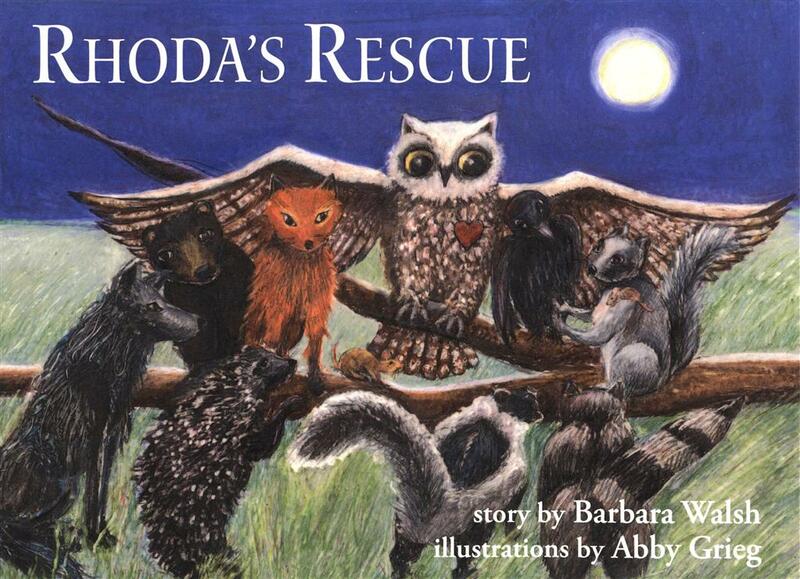 Walsh wrote “Rhoda’s Rescue,” a tale about an owl who uses her special powers to help her forest friends. The book is illustrated by Maine artist Abby Grieg. Rhoda’s Rescue will be released to Rotarians and the public internationally in early October. The first book signing will be Sunday, October 5th, 2:00-5:00 pm at Waterville’s Harvest Festival at Head of Falls. Following a reading by the author, both Walsh and Artist Grieg will sign books during the event. Suzanne Uhl-Melanson, Nikki Raymond and Tina Chapman painting stencil's for Waterville Rotary's Born Learning Trail on North Street in Waterville. Senator Libby Mitchell, Democratic Candidate for Governor addressed the Club , sharing her views on the issues facing the State of Maine. 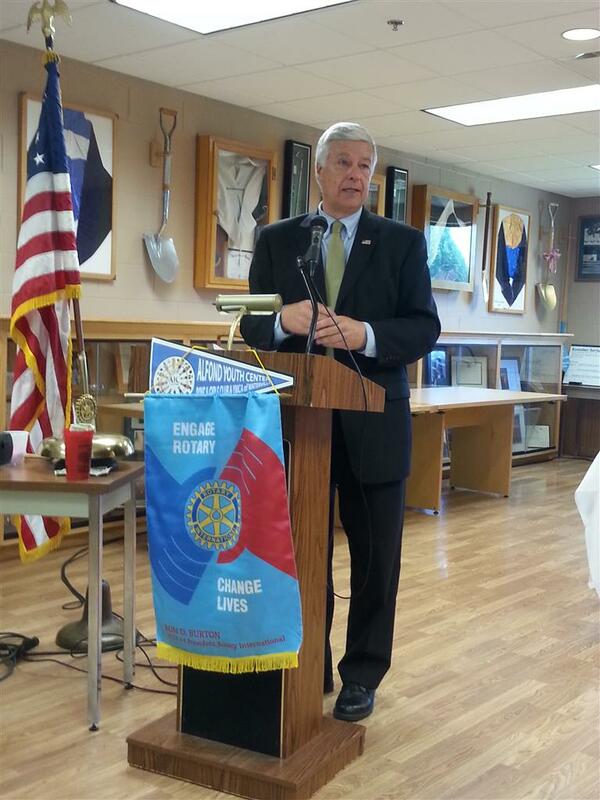 District Governor Claude Martel shared his passion for Rotary. He outlined his five goals for this Rotary year. Don Kniseley, Executive Director of Tedford Housing, a supported non-profit Brunswick homeless shelter, discussed the issue of homelessness in Maine and how we might approach solving this problem. Candace Hill, Executive Director of the Community Dental Center in the Sterns Center presented information about the practice and its role in the Greater Waterville community. Seth Sherwood, our 2010-11 President, shared his experiences at the International Conference recently and discussed his vision for the next year. Sarah provided the members present with an overview of the accomplishments the Club achieved during her presidential year. Jennifer Howe, Community Outreach Manager of the Sexual Assault and Crisis Intervention Center serving the region's 4 counties, presented an overview of the sexual ssault issue in Central Maine and the services her organization offers to victims of this crime. Tom Sturtevant and Trapper Clark dicussed the suceess of their local award winning manufacturing company, ALCOM. Local author Gerry Boyle visited the Rotary Club to discuss the profession of writing and his experiences as a well known writer. Kennebec and Somerset County District Attorney Evert Fowle presented recent examples of embezzlement his office has prosecuted. Nancy Souza, Director of the South End Teen Center discussed a highly successful pilot program diverting first-time youthful offenders from the court system and guiding them toward developing their own assets. President Sarah Sugden led a Club Assembly Meeting to discuss the past year and give the committee chairs an opportunity to share updates on their activities. 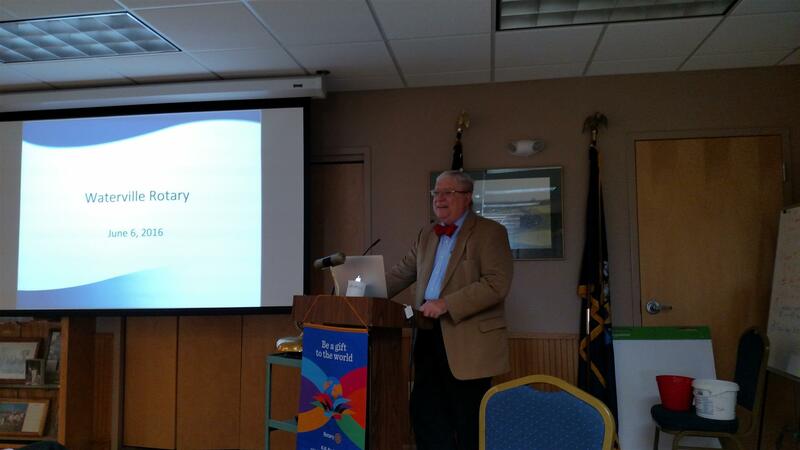 Matt O'Donnell, editor of the Bowdoin College Alumni magazine, told Rotarians about From the Fishouse, an online audio poetry archive. Leila Musacchio, Director of Advertising at Mainbiz presented on the Mainebiz organization and the success it has achieved since its in ception in bringing Maine businesses together through business-to-business networking. 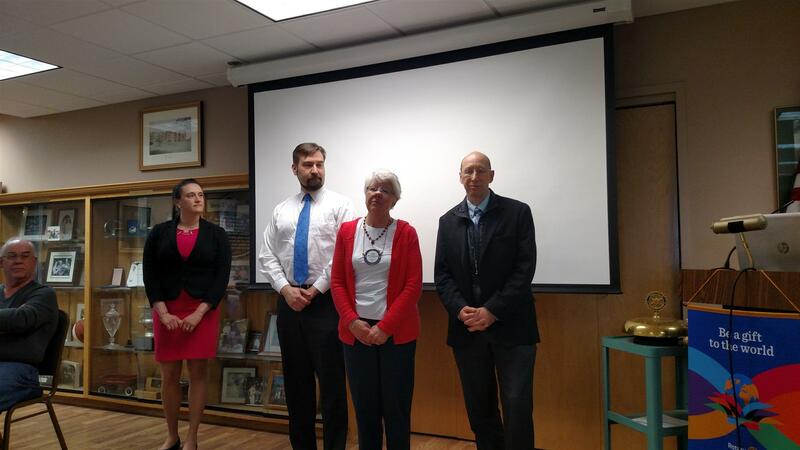 Rotarians Cathy Langlais, Janet Parkhurst, and Don Borman presented classification talks sharing information about their backgrounds, professions, and why they are involved with the Waterville Rotary Club. 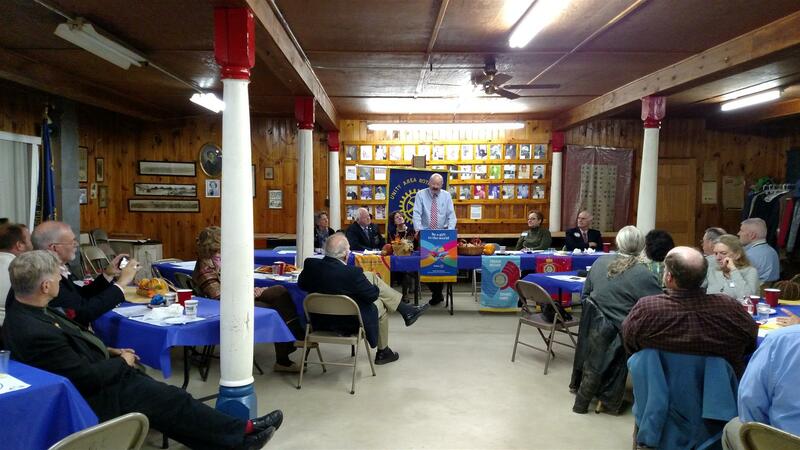 Don Chandler, owner of the Oak Pond Brewery in Skowhegan, provided the Waterville Rotary Club with a behind the scenes look at the craft brewery industry and what Oak Pond Brewery is doing to produce a high quality beer for the region. 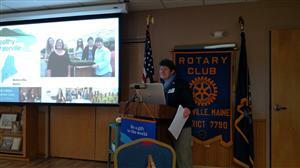 Sarah Sugden, President of the Waterville Rotary Club led a planning discussion involving the club membership. Input was received that will help formulate the Club's Strategic Plan for the next 3 years. Sarah provided the Club with a detailed review of how a member might make up a meetng electronically using the featres of Club One, a on line, electronic Rotary Club. In joint meeting of the Waterville Rotary Club and the Mid-Maine Global Forum, Dr. Joseph S. Tulchin, PhD, Senior Scholar, Woodrow Wilson International Center for Scholars, Public Security and Organized Crime in Latin America discussed the issue of organized crime in Latin America, the drug trade, an its effects here in America. Erin Rice, Director of Marketing and Communications at Pine Tree Society presented an overview of the Pine Tree Society's programs and achievements and then shared a video describing the organization. Peter Martin, representing Black Bear Entertainment, discussed the Oxford County Casino Referendum and discussed the issues that have been raised as well as his organization's perceied benefits for the State of Maine. 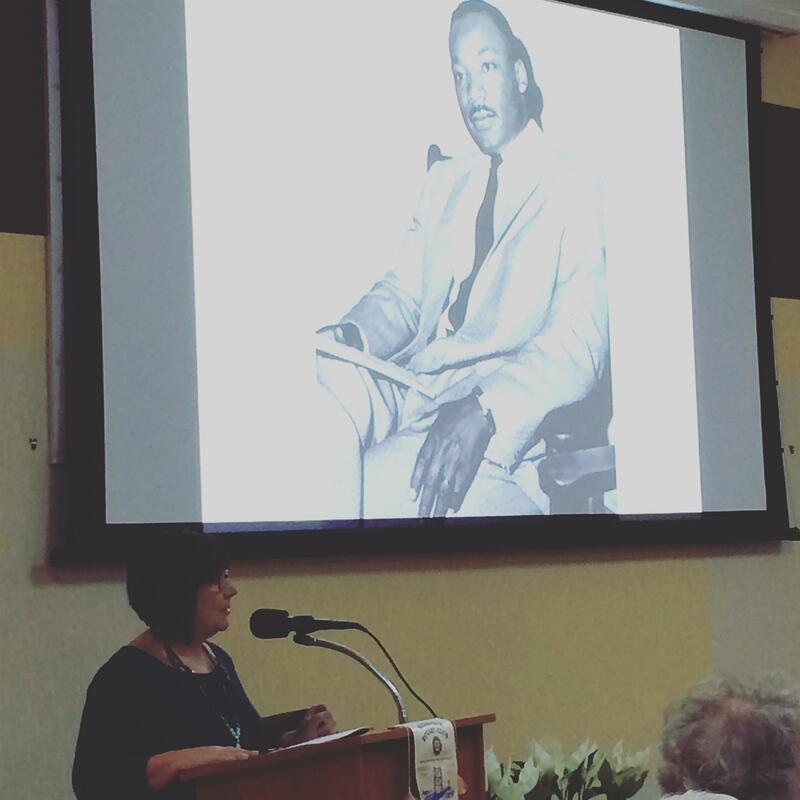 Deb Staber, Curator of the L. C. Bates Museum, presented information to the Club about the L. C. Bates Museum and the challenges it is facing. John Butera,Executive Director of the Central Maine Growth Council presented his views on the Central Maine Economy and what it will take to attract new businesses to the area in the short and long run. Sharon Abrams, Executive Director of the Maine Home for Little Wanderers and Tim Beals, Executive Director of Delta Ambulance shared information about their experiences within their classification as well as their respective professional backgrounds. Scott Bullock, President and CEO of MaineGeneral Health provided the Club with an overiew of the building project MaineGeneral Health is about to embark upon with the creation of a new inpatient facility in North Augusta and a reconfiguration of outpatient services in Waterville. Dana Perry, VP of Human Resources at Backyard Farms in Madison, ME discussed the progrss their organization has made in the tomato industry in 3 short year of operation. Master Auctioneer Jim Julia auctioned off 22 items that were not taken during the the Annual Radio Auction earlier this month. The results of this "mini-auction" added another $1025 to the proceeds of this annual event. In the spirit of the Holiday and Rotary Fellowship, a large number of the Rotarians in attendance shared Happy Dollars and the things they were happy about this year. 12/14/2009 Ken Wash, Executive Director of the Alfond Youth Center discussed the impact that the Center has had on the Central Maine community (and beyond) since its founding and its growth since moving to its current location 10 years ago. On the Anniversary of the December 7, 1941 attack on Pearl Harbor, Dr. Weisbrot reflected on that event and addressed it's impact on the formation of US world policy and relations throughout the second half of the 20th century and to the current time. Anita Diaz, our 2009-10 Rotary Youth Exchange Student from Argentina discussed her program, shared information about her country, and her experiences thus far in Central Maine. Tim Beals reviewed preparations for the upcoming Radio Auction for the club members. The Auction will be held December 2 & 3 at Central Maine Motors. Rotarians Duane Wheeler, Suzanne Uhl-Melanson, and Nancy Gallagher presented classifcation talks at today's gathering. Nikki Desjardins and Cora Clukey shared their experience this summer as participants in the The Rotary Youth Leadership Award Program (RYLA) experience in the Forks. Nan Bell from the Family Violence Project spoke about her personal experiences with domestic violence. Garrett Martin of the Maine Center for Economic Policy shared his research on Maine's experience in attempting to expand health insurance coverage for the uninsured and the lessons that can be learned as we move towards national health reform. Congressman Michael Michaud provided the Club Membership with an update from Washington on a number of important areas including Health Care Reform and new legislation and initiatives designed to bring Federal funding to Maine. 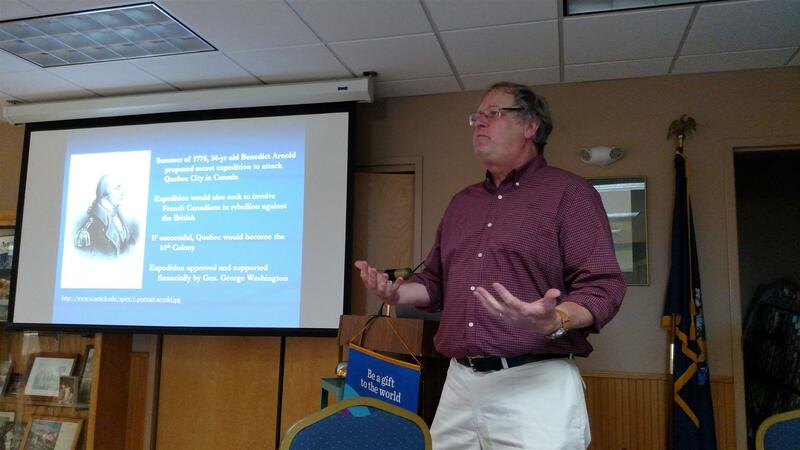 Jacob Blondin, Renewable Energy Director of International Woodfuels in Burnham provided an insightful presentation on how woody biomass thermal energy can achieve impacts for our climate and energy challenges here in Maine. 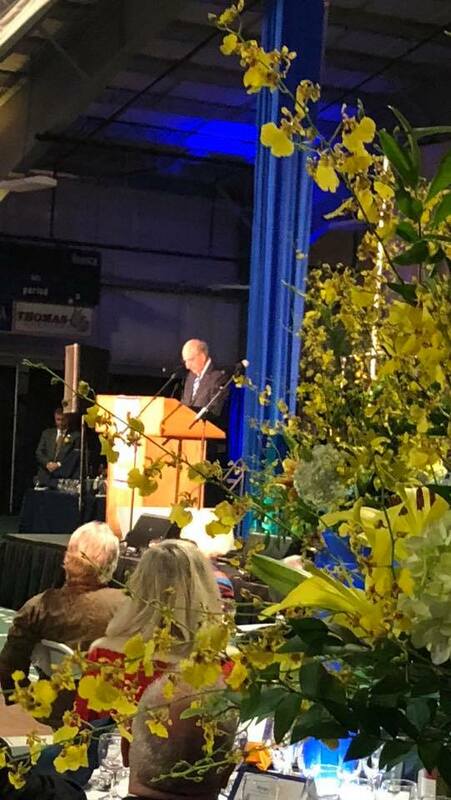 Tom McAdam, CEO of Kennebec Behavioral Health discussed Kennebec Behavioral Health and its role in the mental health community of Central Maine. Laurie Lachance, President of the Maine Development Foundation presented an overview of Maine's economic indicators and her thoughts on the future of Maine's economic recovery. Steve Erario, a Colby student, and Jamie Nemecek, a Unity College student, presented an update on Sustain Mid-Maine, a grassroots nonprofit group working on environmental sustainability issues. Kara Kugelmeyer, Senior Editor for New Product Development from at Thorndike Publishing provided an overview of the industry and her insights into the future of this means of communicating. Noted defense attorney F. Lee Bailey, Esq. shared his experiences with a successful inmate re-entry program in Minnesota named Amicus and why it might work in Maine. Lauren Shaw, filmmaker and photography educator discussed the clean water crisis that currently exists in Cambodia as a result of genocide at the hands o the Khmer Rouge from 1975-1979. Peter Vigue, Presidet, Cianbro Corporation, addressed the Waterville Rotary Club sharing his vision for Maine's economy. Kim Lindlof, John Dalton, and Kim Hawkes shared their backgrounds and professional involvement in the community with the Club Membership. Qiam Amiry (Colby '09) discussed the Afghan Scholars Initiative which he founded while he was a student at Colby. Outgoing President Ally Karter make her final remarks to the Club capping off a very successful year. Sarah Sugden, Seth Sherwood, and Don Plourde, our next 3 Club Presidents shared information about themselves with the Club Membership. Meredith Jones, resident of the Maine Community Foundaton presented information about MCF as well as her vision for the future. 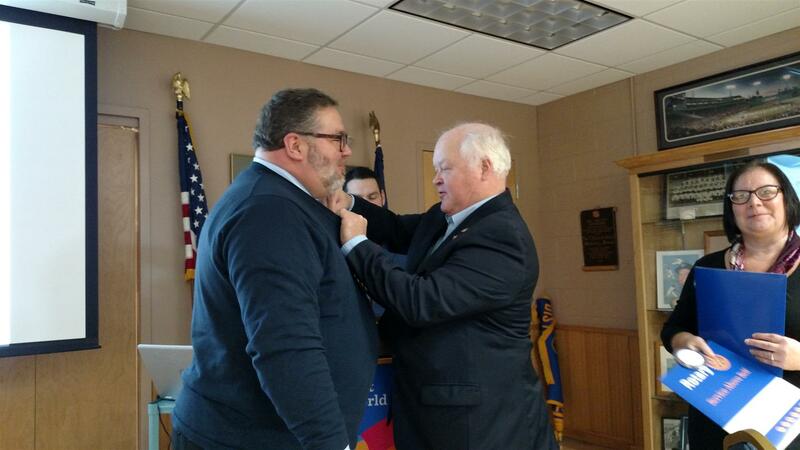 Outgoing District Governor Yves Fecteau visited our Club to award a Presidential Citaion of our accomplishments this year. Raffi DerSimonian presented an overview of his experiences in Germany as part of the Rotary International Ambassadorial Scholarship Program. 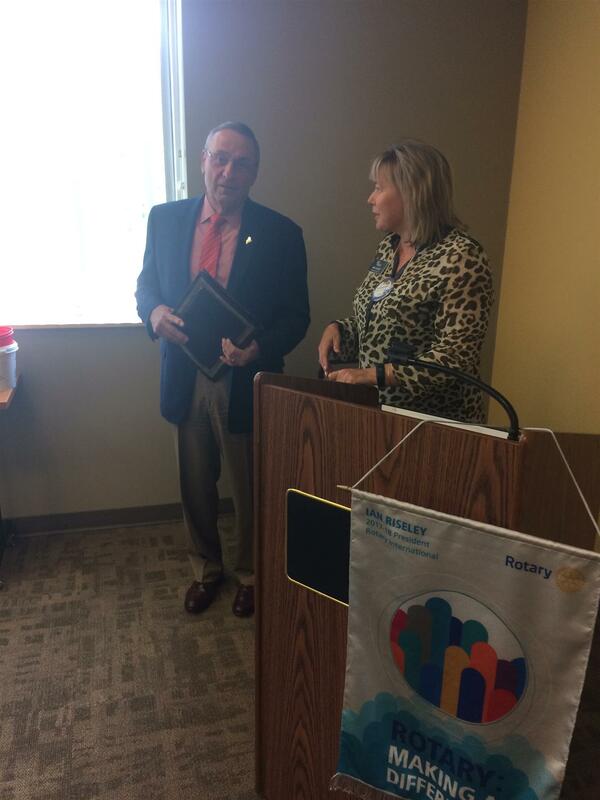 Today, the Waterville Rotary Club celebrated in the awarding of 27 Paul Harris Fellowships at the Alfond Youth Center. An update on the Hathaway Creative Center from the developer, Paul Boghossian. 4/27/2009 " Barrels Community Market Presentation"
Barrels Community Market will offer food, crafts, and a dynamic community event space in the former Lamey Wellehan location at 74 Main Street in downtown Waterville. Waterville Main Street is their parent organization. Planned opening day is June 21. Today's speaker was Gary Best, Interpretive Planner with the Maine Department of Conservation Bureau of Parks and Lands, speaking on the Department's "Take it Outside" initiative. 4/6/2009 "Sexual Assault Awareness and Prevention"
Karen Heck described how that organization is working to help girls deconstruct today's media messages about who they should be: blonde, thin and pretty, in order to help them realize they cannot live up to this impossible standard. Come join us on May 18th to celebrate the Rotary Foundation and all our peers who help to keep it vibrant. RSVP requested! Our meeting focused on the Quary Road Trail proposal. President Ally hits the highlights. While the 1:1 Matching Program will expire on June 30th, and all donors (sustaining donors, Existing Paul Harris Fellows, and benefactors) to the Rotary Foundation will be recognized at the PHF Luncheon, only new Paul Harris Fellows who made their donations by March 31st will have their certificates for the ceremony. 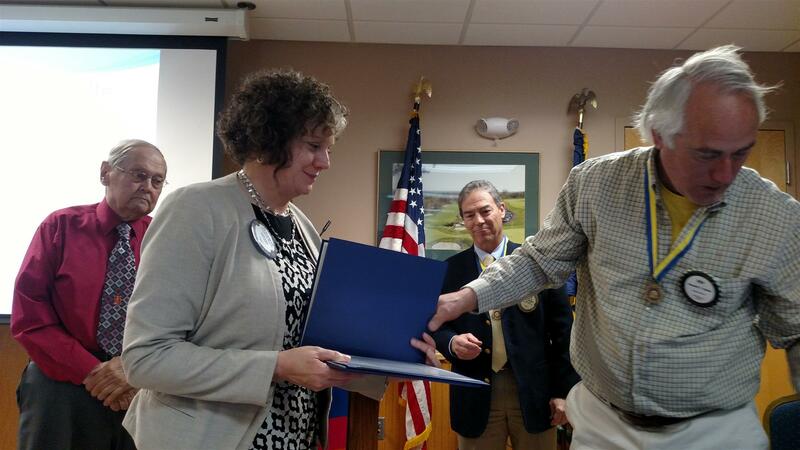 Carol Coffin, District 7790 Director for Polio Plus thanked Ally for the invitation to speak to our Club today on this subject that is near and dear to her heart. She recalled several personal experiences that she has encountered throughout her life with polio victims and shared that it is likely that each of those present has a similar story to tell. The Rotary sponsored YETE (Youth Empowerment Through Employment) Project is underway and is seeking employers to sponsor student interns for 8 weeks in the summer beginning in June. If you are interested in learning more please complete the application as soon as possible. The deadline for interested employees has been extended to May 8th. Thank you! John Fortier, Gary Hammond, Alice Anderman and Tony LaMarre tell us all about themselves. Raffi, Sabrina and Jean-Louis in Quebec City for GSE training! 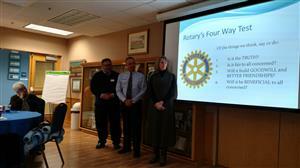 Read more information about the Waterville Rotary Clubs GSE hosting opportunities. Can you help? Jenny Chen, a freshman at Colby was our guest speaker today. Jenny is a former Rotaract member in high school. She is from Montgomery County, MD. In her presentation, she shared her experiences over the past several years with her brother developing and marketing a literary magazine for kids. Ally Karter began the meeting by asking the Rotarians present to pause for a moment of silence in memory of fellow Rotarians Louis Rancourt and Ray Kozen, who passed away since our last meeting. 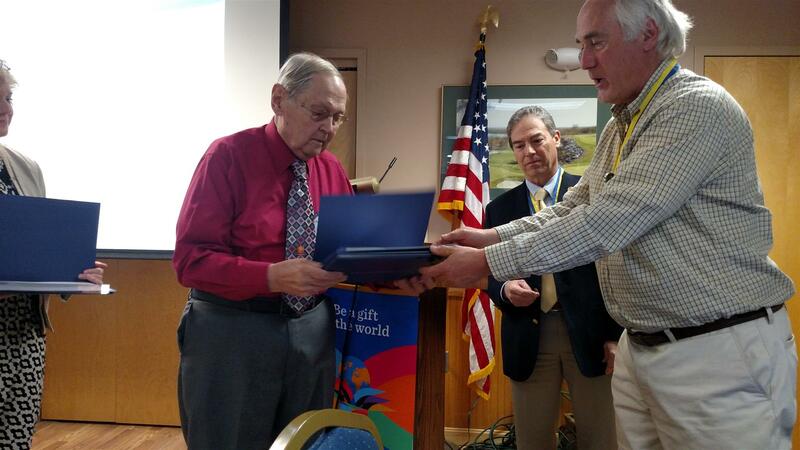 The Green Street plaque honoring Rotarians with 50+ years of service has been through a lot. It was attached to a metal rod, stolen, recovered, refurbished and now sits proudly attached to a new granite rock. Ryan Liberty introduced today's speaker, his brother, Randall Liberty the current Sheriff of Kennebec County. Ally Karter started the meeting off by challenging all members to generate concepts and ideas for the future work of Waterville Rotarians. 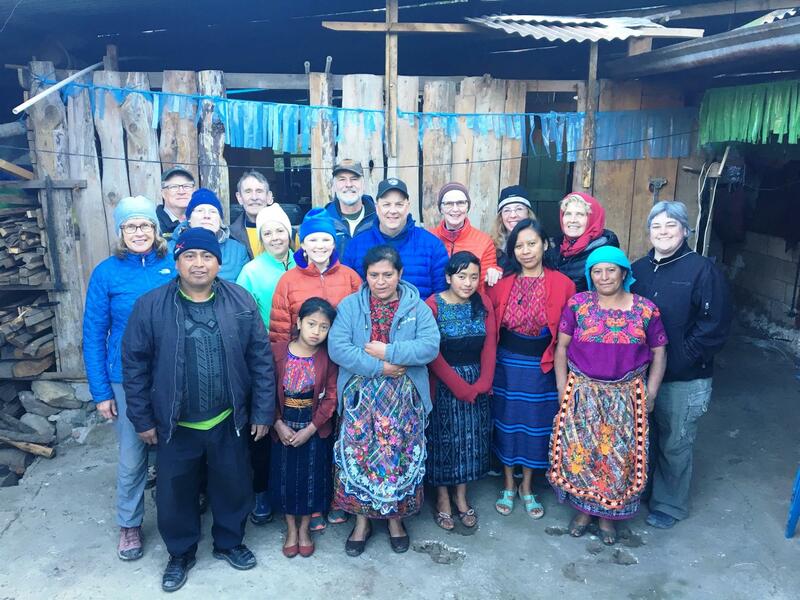 We just received news that as a result of changes that the Rotary Foundation is making, the club will not be able to offer the same matching program in the future. So, retroactive to July 1, 2008, the Waterville Rotary Club will be matching each contribution to the Annual Giving Fund (EREY) dollar for dollar. 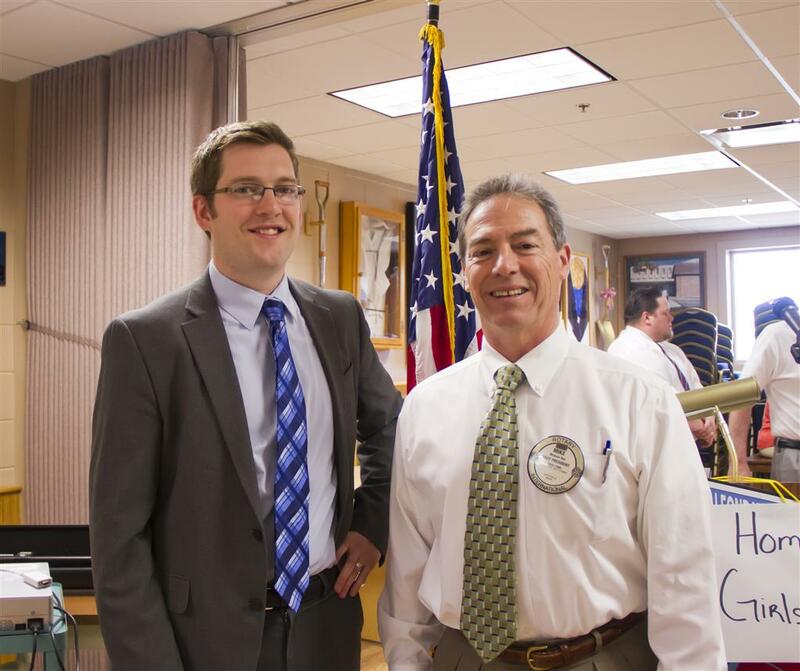 Maine Center for Integrative Rehabilitation (MCIR: Speakers Scott Mayo, Clinical Director, and Waterville Rotarian Glenn Leavitt. A Presentation by Richard Pattenaude, PhD, Chancellor of the University of Maine. Our dates for ringing the Salvation Army Bells are December 11th and 12th. More information will follow. Please set aside times during these two dates to help ring the bell in support of this hands on community service event. The following is the sign up sheet for the Salvation Army Bell Ringing for Dec 11 and 12th at Walmart. 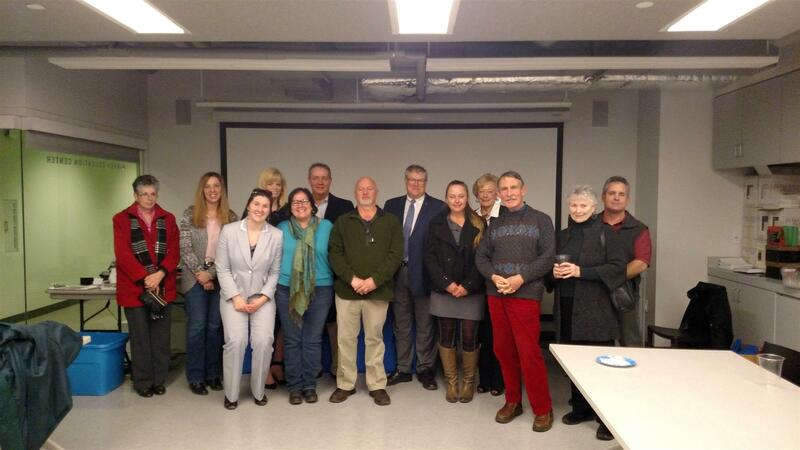 The Waterville Rotary Club met Monday, November 17th, at the AYC. The Waterville Rotary Annual Golf Tournament was a roaring success. The golfers had a perfect day to be on the links, the food was delicious and bets were made (and lost!). Once again the Waterville Rotary Pig Roast Auction was a huge success, much fellowship and a lot of fund raising. Thanks to all who participated in this event. See the photo journal for the pig roast auction, lower link on the right hand column. The Rotary Centennial Trail is at its most beautiful time of year. Please enjoy a relaxing walk (or even a jog) down this wonderful trail.